So I have no one to drink with tonight, but it's been a long week, so the only way I can justify drinking as much as I want to is to write a diary, partially so I remember what I was doing. So here it goes. Don't worry, it'll get more interesting as it goes. Color: Both are extremely pale, but the Blue Moon is just a bit darker than the Sierra Nevada. Smell: Neither really has a very distinct smell. Going Down: Blue Moon doesn't blow me away with flavor, which is generally what you want from a summer beer. 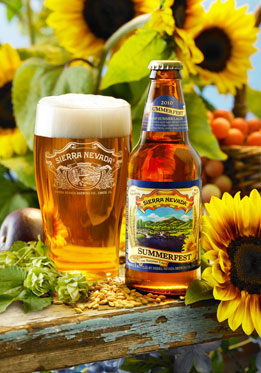 Sierra Nevada is a bit more carbonated, and I think that's good with a summer beer, and it is also light on flavor. Aftertaste: Blue Moon has a bit of a honey aftertaste, but something is a little off as well. Sierra is a bit more refreshing, and also has something a little off about it. 8:08 - Terrible pace - Going with Leavenworth Eight Mile Alt here, mainly because their Dunkel was so good. This one has a nice, sweet caramel flavor. Another winner from Leavenworth. 8:25 - Better - North Coast Old Rasputin - An imperial stout. I expect it to be delicious and very hard to drink fast. UPDATE: I was right, this is a 7 shyoh beer no question. 8:55 - Slow - Leavenworth Whistling Pig Hefeweizen - extreme change of pace here. Pretty good beer. A lot more flavor than you'd expect from a hefeweizen. 9:15 - Sam Adams Latitude 48 IPA - I've had this one before, but haven't reviewed it. Very good IPA. 10:00 - Shock Top Lemon Shandy - I am not very talkative tonight, but this doesn't taste enough like beer. 10:35 - Victory/Dogfish Head Saison du Buff - too much, collaborations tend to cause people to want to do a lot, when they really just need to do less. 10:42 - I can't do this anymore.